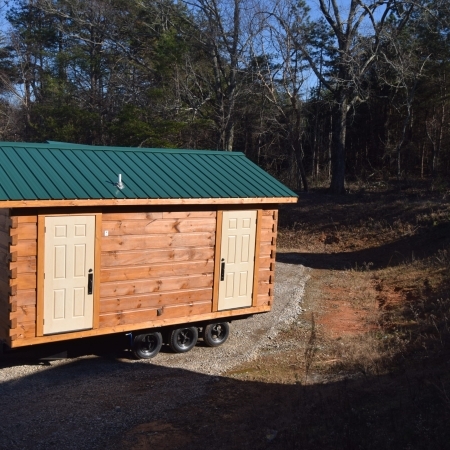 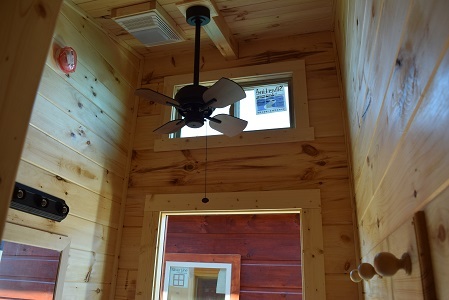 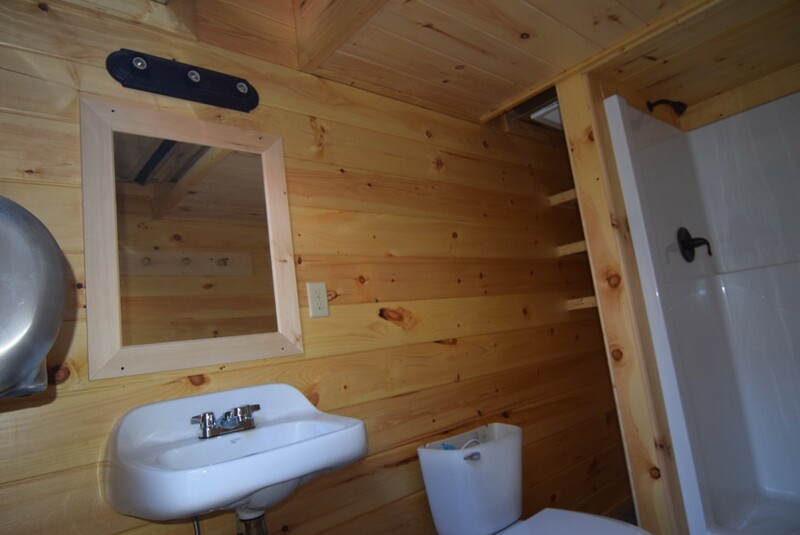 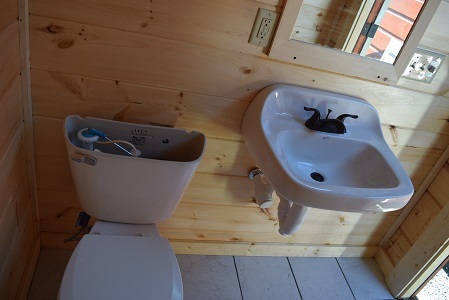 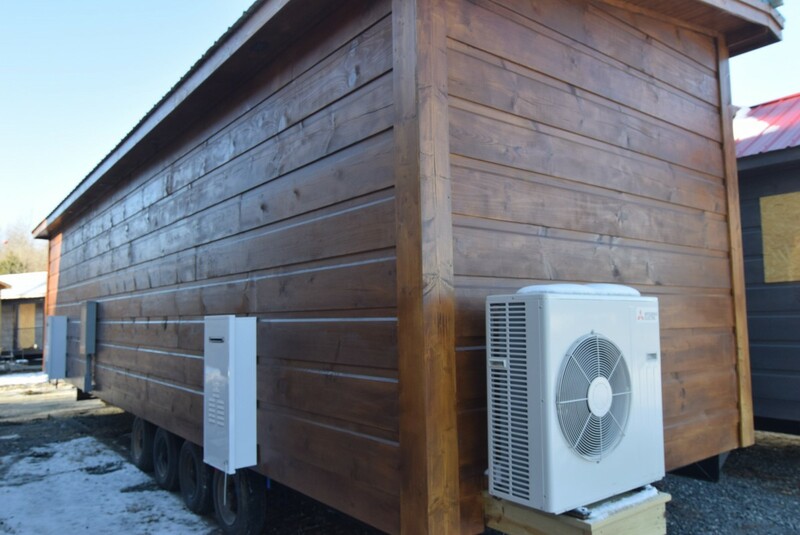 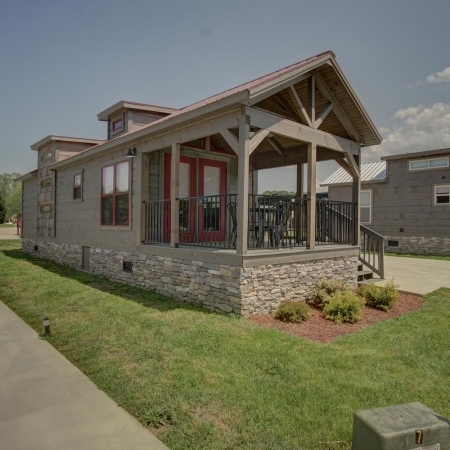 This cabin has been a real hit with our campgrounds and rental companies. 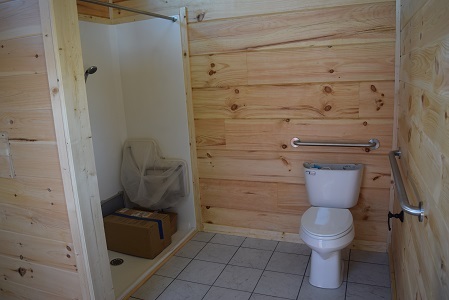 This (5) bathroom bathhouse has been perfected over the past two years. 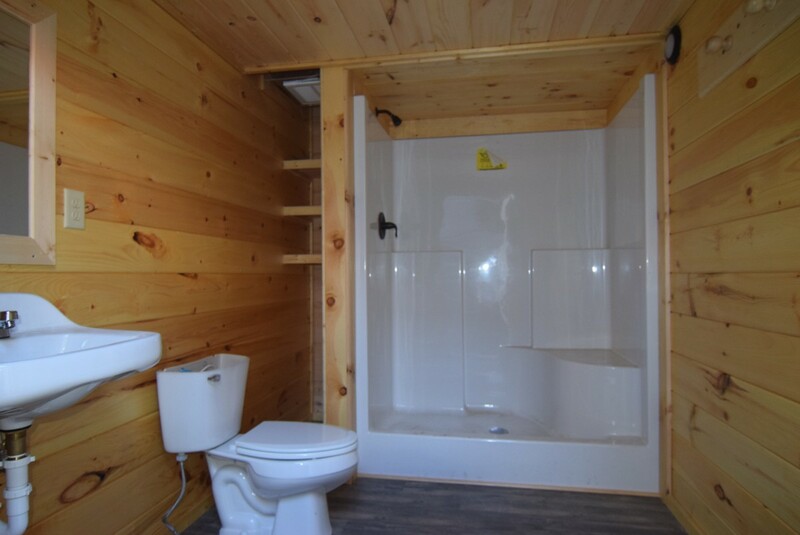 Now standard are: (5) fully functonal, spacious, bath houses with (1) ADA. 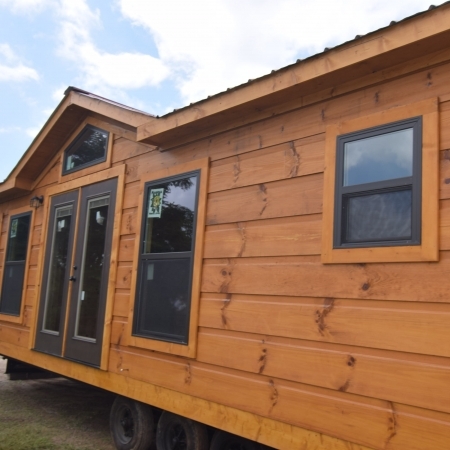 5:12 gable roof with 45 year metal roof, sealed interior walls, towel hangers, storage, commercial hand dryers, ADA shower and grab bars & toilets, Tankless rinnai Gas water heaters, Upgraded radiant roof insulatoin, solid log construction, LED eave lights, heavy duty door hardware.